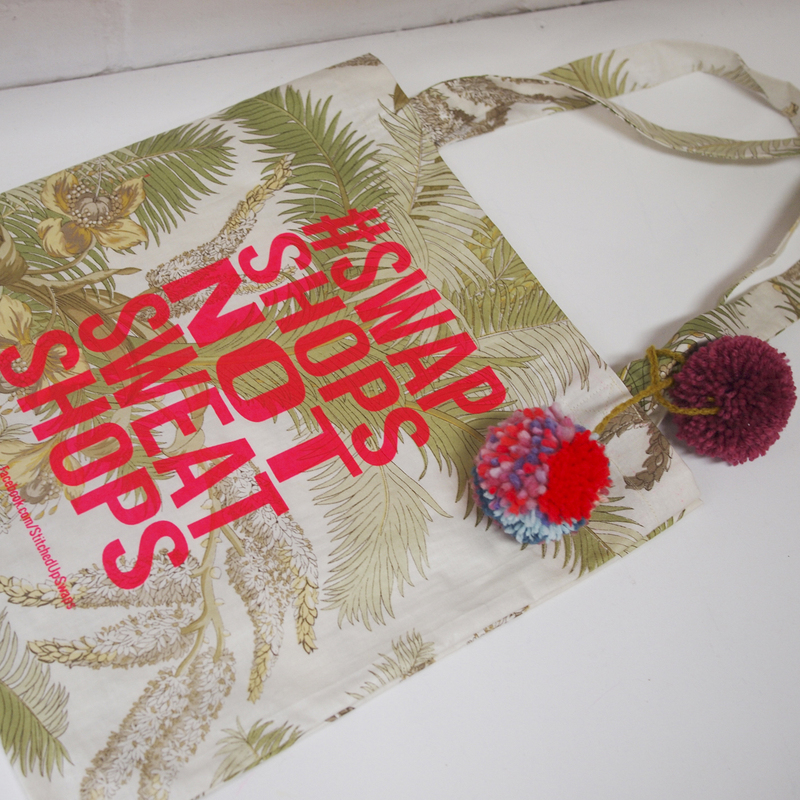 Upcycled shopper / tote bag made from reclaimed fabric – in this particular case, an unwanted pair of curtains – and screenprinted with our #SwapShopsNotSweatshops hashtag. 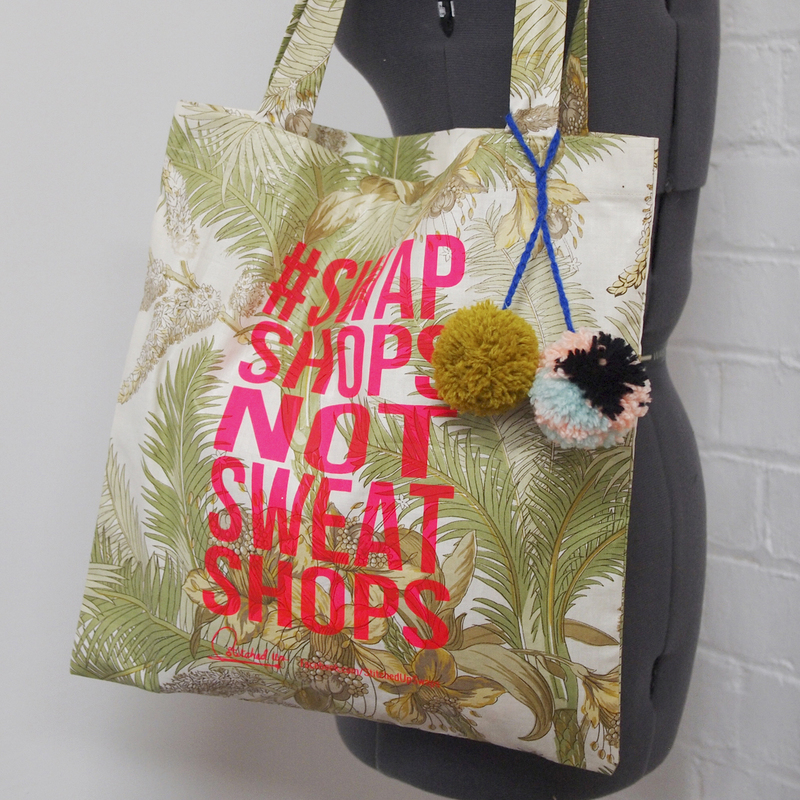 Show your support for ethical fashion! 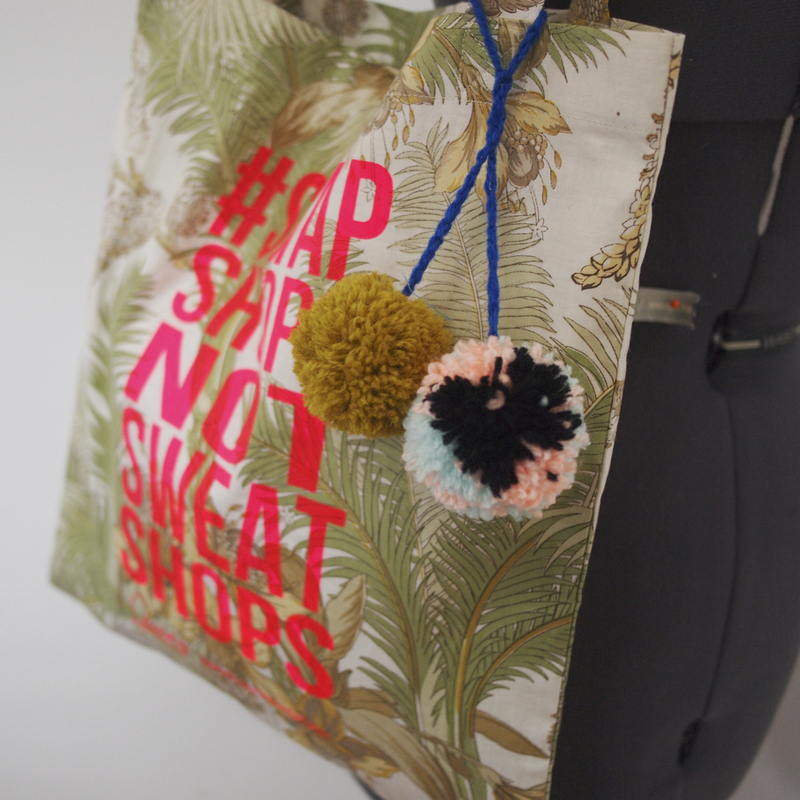 Each bag comes with a removable pom-pom charm. These bags are handmade by us at our workshop in Manchester. 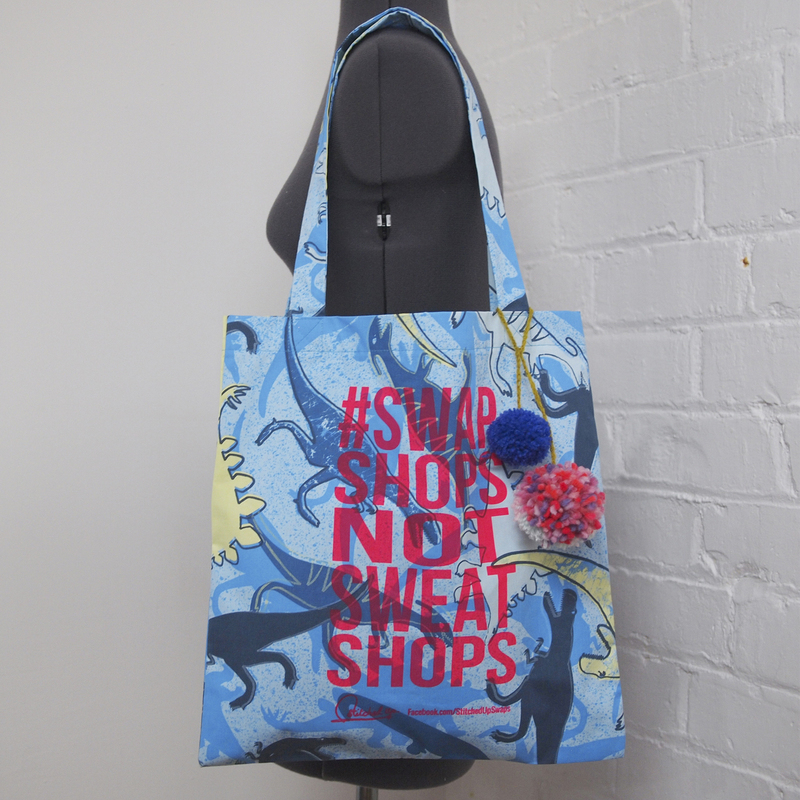 The bag is available in two prints – Foliage or Dinosaur. The Dinosaur fabric has a plasticised backing of some kind, so this bag is sturdy and good for carrying groceries and spill-able things! 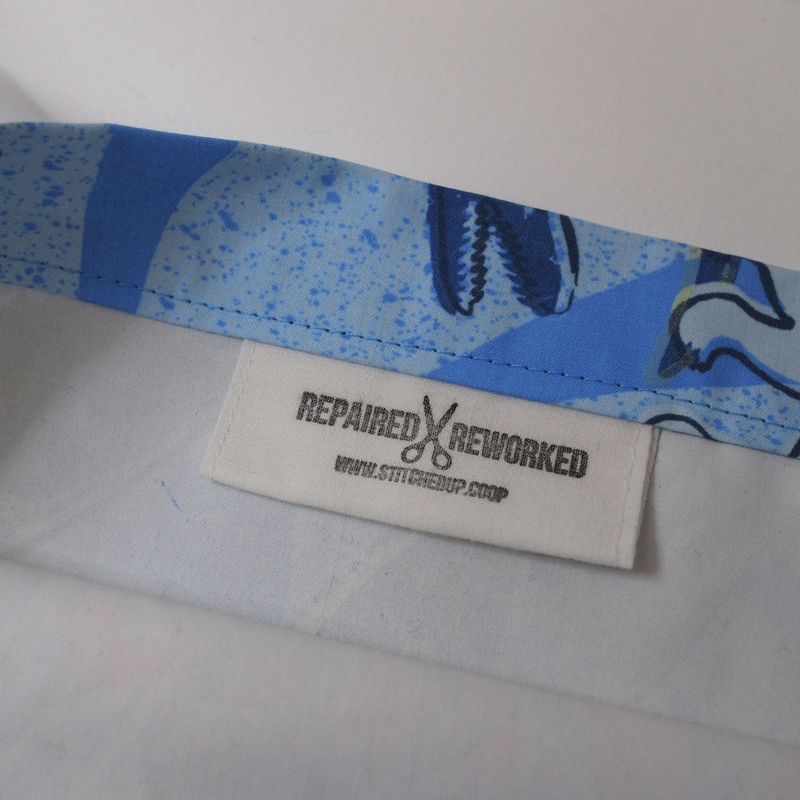 The Foliage print fabric is a thinner cotton-type fabric, so it folds away small when not in use. 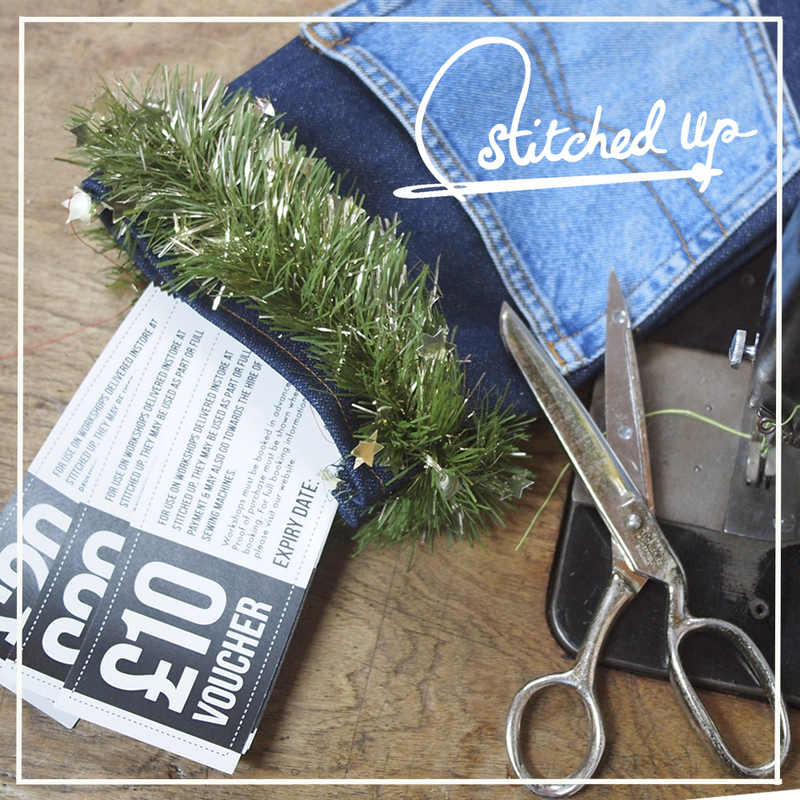 Great as a spare shopper to have in your bag.